Model 1221 is great choice for beginners. 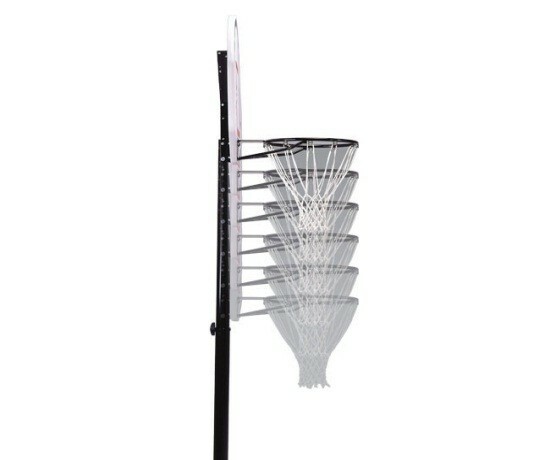 Priced with the economy in mind this is a very inexpensive way to play basketball from the comfort of your yard. The lighter weight allows for portability and quick transportation. Includes the same 5 year warranty as the high end systems speaks of the high durability. 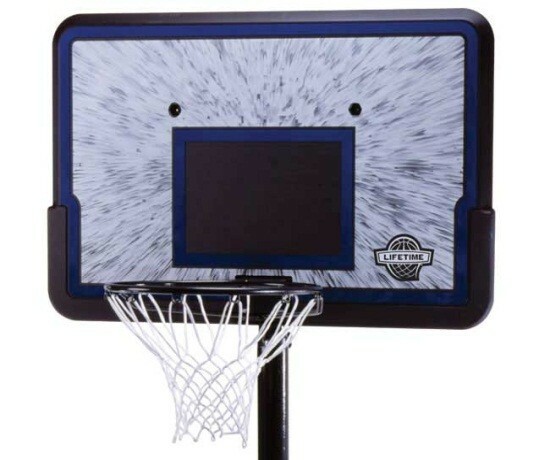 Backboard dimensions: 44 inches W x 30 inches H.
Backboard material: Non-Transparent High Impact Plastic. High Impact Plastic cannot break or rust. Family style graphics. Backboard Frame: n/a Backboard material is all plastic. Steel regulation size 18” diameter rim. Net Hooks: Steel (not clip-on) welded net hooks for net attachment. Net: All-weather 50 gram cotton white net. Main pole structure: 3 pieces with top pole cap to prohibit rain water. Height adjustment name: Telescoping Pole with Knob. Black Knob screws directly into pole. Unscrewing knob to manually slide pole up and down. Tightening knob locks pole height into place. Telescoping pole requires user to lean system forward, unscrew knob, and lean back into place. Great solution for customers who generally leave the height in the same place. Adjustment Increments: Rim height adjusts from 7.5 feet to 10 feet in 6-inch increments. Adjustment Height: lowest height is 7.5 accommodating the average 6 year old and highest height 10’ which is High School/NBA regulation height. Base Material: Expandable plastic. Designed to freeze solid with water in winter. No anti-freeze necessary. Fill Material: 27 gallons of water or sand. Fill plug on top and drain plug on side for portability. About 50% of water must be drained to easily move around. Replacement caps available. Wheels: 2 wheels in front. 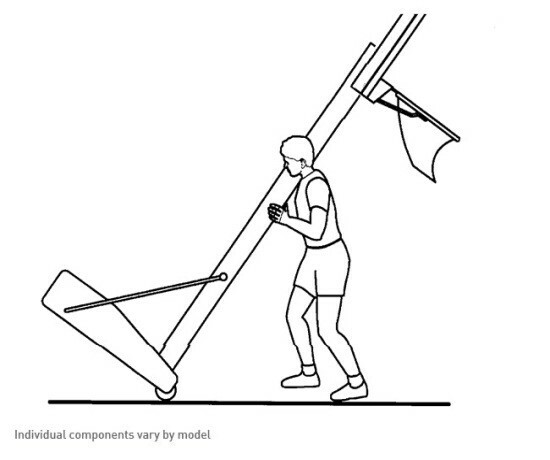 Tipping forward allows the hoop to roll to another location. Replacement bases available. Warranty: 5-years manufacturer’s warranty. Copy of receipt required. Rims and backboards damaged from falling over are not covered. 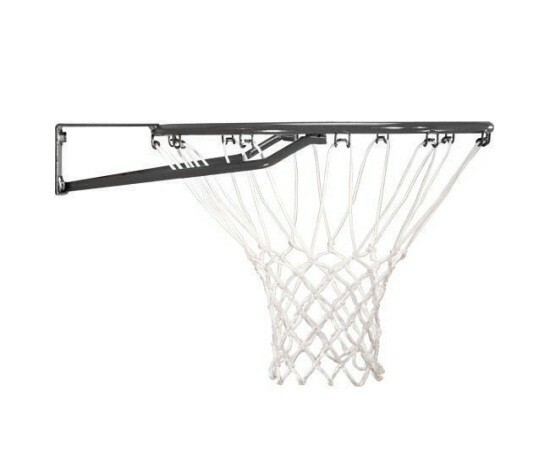 Please ensure you follow the owner’s manual instructions to prevent the 1221 bball goal from falling over. Footprint dimensions: 43 inches L x 30 inches W.
Shipping Time: 5-7 days from time of purchase. Delivered FedEx – no signature required. Tracking automatically emailed to customer. 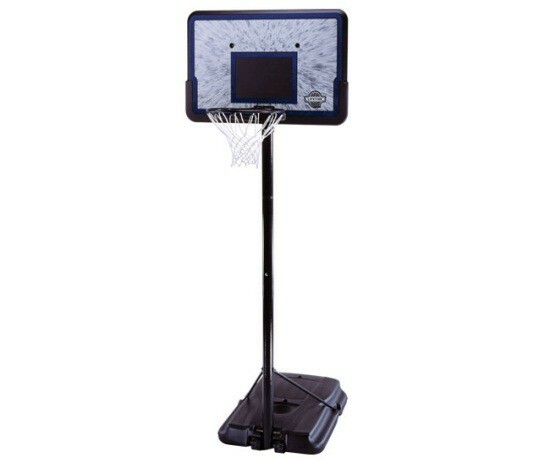 30-day money back guarantee on all Lifetime Portable basketball systems. Shipping weight: about 55 lbs. 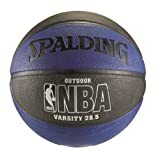 Shipped dimensions: 44.50 inches L x 7.75 inches W x 34.50 inches H.
View Lifetime 1221 Impact BB Portable Basketball System on Competitive Edge Products, Inc for a low price guarantee option. View our directory of installers for help installing your Lifetime 1221. 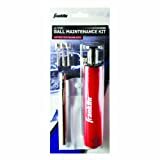 Download assembly instructions for Lifetime 1221 basketball system. Average assembly time: 1 hour with 2 people.